Take Charge Brandi in Difficult Test at Saratoga: Instead of being eager to use Take Charge Brandi off a layoff in the Test (GI), run at seven furlongs at Saratoga Race Course on Saturday, waiting to see how she fares is a wiser decision. Take Charge Brandi had an injury and layoff, yet comes back in a Grade I race that usually features a swift pace. Sure, trainer D. Wayne Lukas has every right to enter Take Charge Brandi in an aggressive spot if he feels his filly is prepared. Besides the layoff and pending pace scenario though, her pedigree works against her as well. At least Take Charge Brandi’s pedigree is always fun to discuss. For those not aware, here is a rundown of her superb route-leaning family. 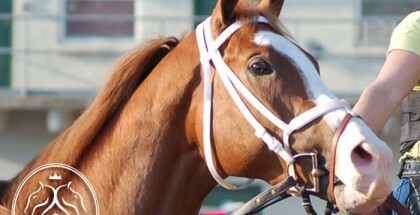 Take Charge Brandi’s dam is Charming, a sibling to the well-known stakes runners Will Take Charge and Take Charge Indy. Will Take Charge won the 2013 Three-Year-Old Colt Eclipse Award in a season where he captured the Travers (GI) on this racetrack and finished an extremely close second in the Breeders’ Cup Classic (GI). A year earlier, Take Charge Indy won the Florida Derby (GI) among other wins. 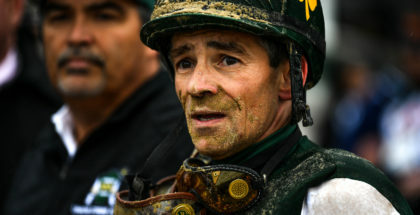 His poor effort in the Kentucky Derby was likely explained by injury and a suicidal pace dictated by sprinter Trinniberg. Further making the case Take Charge Brandi is not suited for sprinting, Charming’s dam Take Charge Lady was a router herself and won the nine furlong Spinster (GI) at Keeneland twice. Her narrow loss in the 2003 Apple Blossom (GI) looked like a top-notch effort too, as she stubbornly gave way to former Horse of the Year Azeri. On the sire side, Giant’s Causeway gave no indication of a dedicated sprinter either. He narrowly lost the 2000 Breeders’ Cup Classic to Tiznow, who ended up becoming the only two-time winner of the race. Giant’s Causeway started his career in Europe. Although he ran successfully in sprint races initially, for the majority of his European time he competed in races at one mile or longer. 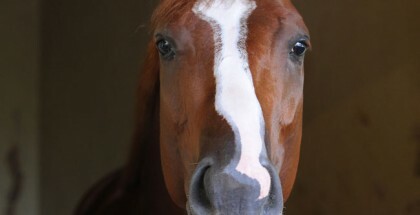 He has American breeding with Storm Cat on top and the Rahy mare Mariah’s Storm on the bottom, and Mariah’s Storm also competed in various routes. While it is true Take Charge Brandi broke her maiden in a sprint and finished second in the Schuylerville (GIII) at six furlongs, those results do not necessarily mean she likes sprinting. In baby maiden races, half the field runs greenly and others will never live up to their potential, which gives certain horses a chance to shine. Now, she faces an entire field of horses proven at the highest level and most of them enjoy sprinting. Also, if Take Charge Brandi is going for another uncontested lead, the scenario does not appear kind on paper. So You Say is a fast filly that has led at the second call in her past three starts. Besides her, Kathballu enjoys pressing the pace and breaks right outside of Take Charge Brandi in post position five. The tactics they employ will be important in determining whether Take Charge Brandi can hold on. In general, most handicappers wait a race or two before jumping on a horse returning from injury. Most fans reading the past performances never saw Take Charge Brandi training up to this race. Maybe stakes horses need to be recorded during training hours with their videos uploaded on YouTube, because it is hard knowing whether to trust a horse making a comeback unless the trainer specializes in the situation. Which fillies are the best alternatives? The question is a tough one. From the rail, Irish Jasper rides a three-race win streak and attracts Javier Castellano. Next to her, Cavorting comes into this race never having lost in sprints, and will benefit from a pace collapse as a closer. In the third post position, By the Moon previously ran a hard-fought second to future Coaching Club American Oaks (GI) winner Curalina. From the outside slots, Bar of Gold gives seven furlongs another try. She won her lone previous effort at the distance by nine lengths and breaks from post position nine this weekend. Wonder Gal and Pleasant Tales come out of the fast-paced Mother Goose (GI) and deserve consideration. The only contender attempting to spoil Take Charge Brandi’s comeback and possibly void of a decent chance is So You Say, unless there is a change in tactics. As long as Take Charge Brandi remains in this field, she will run unhindered in the opening quarter because the connections figured out she runs better when left alone. In other words, Take Charge Brandi will not rate. Yet, So You Say is the kind of filly who runs well on the lead and opens up on the far turn. If she stays true to her recent style, she will not rate either. If they both hook up early, worlds will collide and the stage for a closer will be set. Not one horse holds an extreme edge, but the field offers quality for the most part. Take Charge Brandi is the star, and bettors cannot be faulted for taking a horse with such an awesome resume and pedigree. This handicapper may only watch and take notes. If she fails, give her another chance at a higher price. Sometimes speed horses get caught up in duels resulting in huge-margin losses, but their form is not necessarily poor. If the reigning two-year-old filly champion is in the same form or better, then that is great for racing.